Tired of the wannabe superhero circuit? Then this is just what you need! Play as five of The Champions of Zeta City, harnessing their awesome powers to defeat the machinations of the most heinous and vile Masterminds imaginable in this fully co-op variant. Feeling dangerous? Then go up against the Masterminds in the regular game for an oh-my-what-were-we-thinking difficulty level! 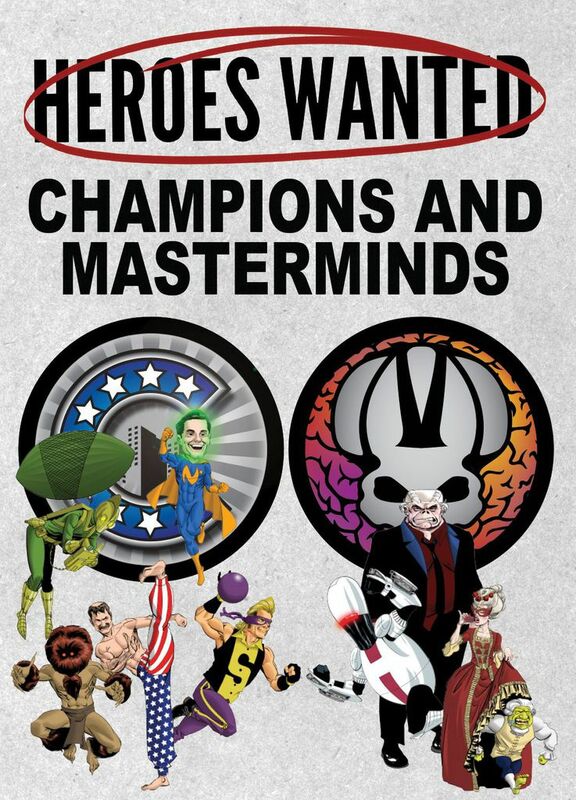 Champions and Masterminds adds 8 over-sized cards (5 Champions and 3 Masterminds) that completely changes your Heroes Wanted experience. Champions are the most powerful heroes in the game. Masterminds are expert difficulty level villains that can be used with both the co-op mode and the base game.